A basement flood can lead to extensive damage to finishing materials and stored items. Today's small leak can lead to serious flooding in the future -- don't wait to fix your wet basement! When your home was built, the contractors designing it never meant for the basement to be a damp, musty, flooding space. But as time and the forces of nature continue to bear down on your foundation, it's bound to leak sooner or later. Basement flooding is a problem that can be solved quickly (and effectively), provided that you know what you're up against. And because this is such a significant investment, it's worth your time to learn which options will work best to keep your basement maintained as dry, usable space. Due to the many ways that basements flood, the variety of solutions on the market, and because of how important it is to be able to count on your basement as dry, usable space, basement waterproofing is best when done by a professional. At Basement Systems Saskatchewan, we specialize in the unique problems that below-grade spaces present. Our installations include a written, transferable warranty that will provide you with long-lasting peace of mind. You don't have to solve your basement flooding problem on your own! Our team of professional waterproofers is standing by to provide you with a customized, warrantied solution. To schedule a free, no-obligation basement waterproofing quote with one of our specialists, contact us by phone or e-mail today! 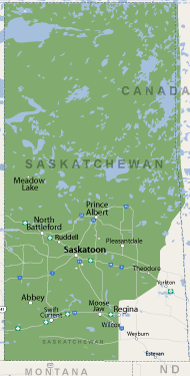 Our Saskatchewan service area includes Saskatoon, Moose Jaw, North Battleford, Swift Current, Prince Albert, Humboldt, Martensville, Warman and many surrounding areas nearby. Basements can flood from almost any point -- including the walls, floor, pipes, windows, and hatchway entrances. The solution to a flooded basement depends entirely on what's causing the flood in the first place. The articles that follow provide an easy guide to understanding what to do when your basement floods, why it's flooding, and how to solve your unique basement problems. What do you do when you discover that your basement is flooded with several feet of water? In this article, we guide you through six steps to tackling that flood and solving your problems. Why do basements leak? And why did the basement just start leaking now? In this article, we cover the building science behind groundwater intrusion and basement flooding. When a home experiences a plumbing failure, a basement can fill up like a swimming pool! In this article, we share some simple solutions to prevent a plumbing flood in your basement. Not all cracks in foundation walls are signs of a structural issue. But even a small crack is a big problem if it's leaking. This article takes you through the steps of permanently sealing leaky wall cracks. What do you do when water is leaking straight up through your foundation floor? Will a perimeter drain system solve this? This article outlines why floor leaks occur -- and how to deal with them. When your basement floods through the basement window, it can stain concrete, damage drywall, and soak insulation. 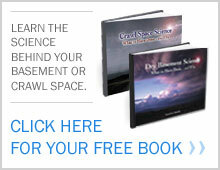 This article provides valuable information on solving this issues once and for all.